Simply put, Golf is a game where the players have to hit the golf balls with clubs into different holes. This game can require a lot of precision and has become an increasing passion among the elite as well as other economic and social strata’s. There are many interesting facts about this game some of which are as follows. We also do have Dubai Golf Packages that you might be interested to check it out. Golf is the only sport other than javelin to have been actually played outside earth. It was played on the moon! In early 1971 a member of the space shuttle Apollo 14 played Golf on the moon. After hitting the ball he reportedly uttered the words ‘ miles and miles and miles’. Interestingly, around the 1400’s golf was prohibited throughout Scotland by the parliament because the game apparently hampered the military training of the residents. What makes it more interesting is that the very invention or introduction to golf is largely credited to the Scottish. Apparently the first ever golf balls introduced around the 16th century were made of wood. Reportedly Americans spend a whooping amount of over 600 million every year on golf balls alone. The world’s longest golf course is really long, it has a length of around 7600 meters. It is the international golf club which in Massachusetts. The odds of making two holes-in-one in a round of golf are as much as one in 67 million. Ever wonder why Japanese golfers often have a hole-in-one insurance? Well, according to convention or tradition, if a Japanese golfer gets a hole-in-one, he is then compelled to share his good fortune with others. So he typically hosts a feast or a part or gives his friends gifts. The internet myth about Golf being an acronym for ‘Gentlemen Only Ladies Forbidden’ is absolutely not true. As a matter of fact Golf is a very preferred sport form among ladies and there are almost twenty five percent of lady golfers and the number is growing. Unbelievable as it may be but there are a group of people who play golf while they are naked. They are commonly called a “naturist”. The first naked golf course was established in a resort in France and was named Le Jenny . It has 9 hectares and 6 holes. This unique place entails a lot of places of interest including a village center. 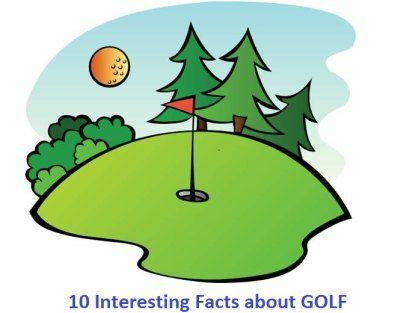 Golf balls actually travel at different paces according to the weather conditions. Golf balls travel farther in hot weather. There are a plethora of anecdotes associated with this popular sport that continues to draw attention.